Over the last 5 years the earth has lost 50% of its magnetic energy. Scientists predict it will lose 5% each century. There will come a day when the earth’s magnetic energy reaches zero. Will life cease to exist? In today’s world iron is found in building materials, lifts, trains and cars, industrial and household appliances. 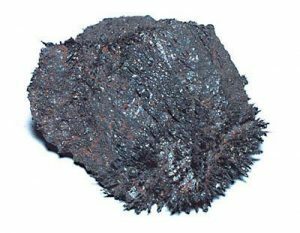 Due to the fact that iron absorbs magnetic energy urban environments have a lower level of magnetism. Does this affect our state of being? It is believed that this lowered magnetism has an influence on our overall health. Magnets work by means of lines of force, measured and quantified in units called gauss. There are two classifications of magnets, static/permanent and pulsed electromagnetic field magnets. The use of magnets for healing is not new. Early Chinese medical literature claims many healing properties for lode stone, a naturally magnetic mineral. The reaction of the body to injury, pain or illness is swelling and inflammation producing a low oxygen acid environment. Magnetic energy is absorbed in the blood due to the iron content contained by haemoglobin. This energy travels through the blood stream causing blood vessels to dilate, increasing blood flow, increasing oxygenation and eliminating toxins thereby restoring the PH levels of the blood cells and tissues. This balanced environment optimises the functioning of all body organs allowing the body to heal itself. It has an effect on the whole body, irrespective of the area it is applied to. The effect is retained in the body for several hours, even after the magnetic field is removed. In a recent study by Prof. Thomas Skalak of Virginia University he found that the magnetic fields cause dilation of constricted blood vessels, but magnets also caused the opposite effect constricting dilated blood vessels. This has very important medical applications in reducing inflammation after injuries. Increasing blood flow thereby improving oxygenation. Changes in the migration of Ca²+ ions facilitating healing of nervous tissue and bone. Reducing inflammation and swelling, therefore also relieving the pain associated with these. Keep away from computers, credit cards, video cases, battery operated watches, hearing aids and cell phones. Magnetic therapy is not a cure in itself but enables the body’s natural healing mechanisms to work at optimum levels.